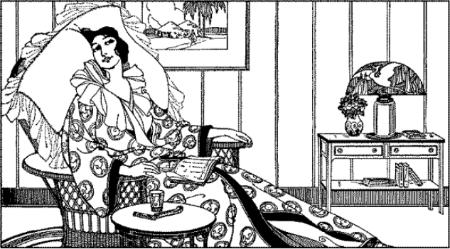 Alumnae chapters follow the academic calendar, and have two seasons: Fall: Sept-Dec, and Spring: Feb-June. We traditionally 'go dark' during the summer and in January. We have four official meetings each year plus additional events. ​Members receive event notices either through email or by mail. If you are a member, and do not receive reminders, please let us know. All Tri Deltas (alumnae and collegians) are welcome at our meetings and events. For more information, or if you are interested in hosting an event, or have an idea, please contact us at sobaytridelta@gmail.com. If you would like to carpool to any event, please let us know! You can contact us by email to sobaytridelta@gmail.com. Please return for more events or updates/changes to currently scheduled events. If you have ideas for events or would like to host an event (at your home OR at a location), email sobaytridelta@gmail.com. RSVP by email to Tamiza at sobaytridelta@gmail.com. It's Zen Hour at W's China Bistro! We are meeting at 6pm to take advantage of some great Zen Hour treats; if you need to come a little later, that's fine too. Location: W's China Bistro, 1410 Pacific Coast Highway, Redondo Beach. Some street parking, and parking lot behind (enter from Ave. F). We will be in one of the front patios. Reservation is under Tamiza and Tri Delta. We will be discussing our chapter's Fall activities, as well as looking ahead into the spring. All Tri Deltas are welcome. Celebrate 129 years of sisterhood with 700 of your closest sisters from across Southern California! Our keynote speaker will be National President, Kimberlee Sullivan, Pepperdine. Location: Embassy Suites Hotel Anaheim South, 11767 Harbor Blvd, Garden Grove, CA 92840. Plenty of free parking. Tickets: Purchase here by Oct 25th. Alumnae cost is $35. Includes salad, chicken entree, and dessert. If you have dietary needs, email us at sobaytridelta@gmail.com. Celebrating 70 years - Sleighbell is a fundraiser for hematology-oncology research at Children's Hospital Los Angeles. 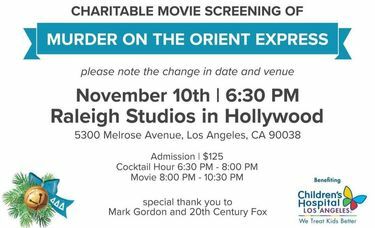 The event will feature a screening of the 2017 "Murder on the Orient Express" directed by and starring Kenneth Branagh and many other amazing actors. This film was donated by Fox Studios (it will have a wide theatrical release this November). Start shopping now! Please bring a wrapped ornament (Tri Delta themed if possible) to exchange - this is our infamous gift game! All Tri Deltas are welcome! If your FIRST name begins with A-M, please bring a dessert to share; N-Z, please bring an appetizer to share. Location: Gerel Santiago's Home, Torrance. Plenty of street parking. There are some steps to get into the house. If you cannot take steps, please let email sobaytridelta@gmail.com. 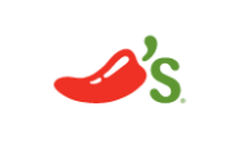 Once a year, Chili's dedicates one day/night where all proceeds benefit St. Jude Children's Hospital. This is a nationwide fundraiser. While we will not be organizing an official outing, you are encouraged to show your support by dining at any Chili's anytime that day! All ladies are welcome. Feel free to invite others. Located at PCH and Madison, immediately next to the Kinecta Credit Union. Plenty of free parking. ​RSVP to sobaytridelta@gmail.com. This will help us ensure there are enough refreshments. We will have a fun night of pampering and shopping! Refreshments provided. It is an open house style party - come by whenever you like. Scheduled vendors include the following. Click the links to learn more and shop in advance. Vendors will provide a donation to Sleighbell/Children's Hospital Los Angeles Hematology and Oncology Research. Please encourage anyone you know to buy online - this supports both Hematology and Oncology Research AND and the entrepreneurial women representing these businesses. -Meet the maker! Owner/Artisan Jackie Olivier will be here to talk about her products. All Tri Deltas are welcome. Feel free to invite more sisters. RSVP to sobaytridelta@gmail.com. This will help us ensure there are enough lunches. 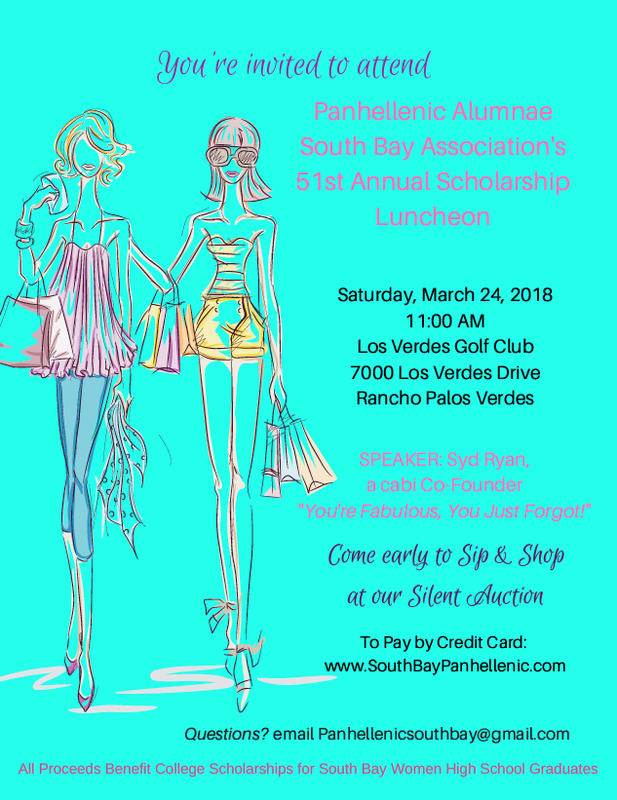 Delta Delta Delta's Southern California Alumnae Council (SCAC) will hold its March meeting at LMU, and we are the host chapter! We encourage you to join us and show support of both South Bay, LMU, and SCAC. Learn about Tri Delta activities and meet Tri Deltas from throughout the Southern California region. The speaker will be Tri Delta Jamie Wright. Come celebrate the seniors of Epsilon Zeta by conducting their Circle Degree Ceremony. Tri Delta Alumnae are needed for the ceremony, so we would love to have you join us! 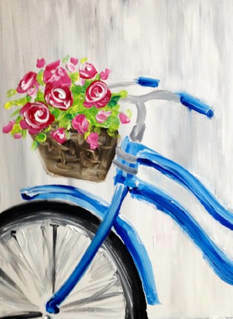 Enjoy an evening of food, fun, and art with your sisters! All Tri Deltas are welcome. Feel free to invite more sisters. You must pre-purchase your ticket here. Then be sure to let us know if you are attending - whether you will join for dinner (no host) or just the class - so we can save enough seats. RSVP to sobaytridelta@gmail.com so we can adjust our reservation. 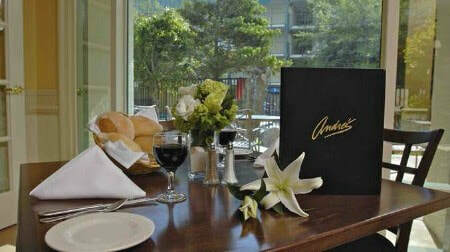 Join us for a lovely ladies brunch at Andre's Restaurant in the DoubleTree Hotel. We'll have our own private room to have some great food, relax, and enjoy each other's company. All Tri Deltas are welcome. We'll be ordering from their lovely breakfast/brunch menu (not the buffet). No host meal. Plenty of free parking. Note: this is Armed Forces Day festivities day in Torrance, so depending on which direction you are coming from, there may be more traffic or road closures (mostly east of the mall). 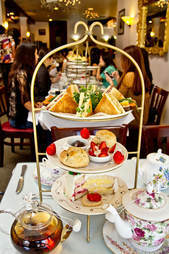 Enjoy afternoon tea service at Chado Tea Room! All Tri Deltas are welcome. Plenty of free street parking.